If you are selling a digital product like an e-book, it’s critical to have a great cover. It’s amazing to me that publishers try to save money on the front end with their website and ebook graphics. What they don’t realize is that spending $500 up front could mean THOUSANDS in extra sales down the road. This is a cover I found online. Granted, it was probably created for free so it’s hard to judge something that cost zero dollars. But I’m sure it took some time. The title is readable but it’s hard to make out any of the other text. All these thing make the e-book not very impressive and will definitely cut down on sales. 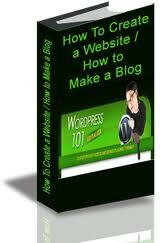 So how did I make my professional e-book cover? Well, if you are not a professional yourself, then you’ll have to hire a professional designer. The trick is finding a good one. I paid a few different designers to do e-book cover designs for me and I was not very impressed. Some produced low quality work and one took a whole month to contact me. That’s a deal-breaker! I stumbled upon Killer Covers and figured I would give them a try since their price for a single cover design was under $100. I was very impressed. Their communication was fast and complete. They responded to all my questions and made the changes I requested for the design in timely fashion. Overall, their level of quality was much higher than some of the other designers that were much more expensive. 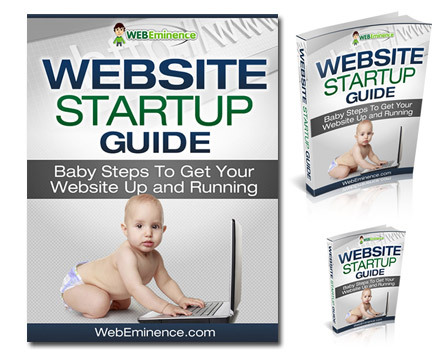 You can see the cover designs that were delivered to me for my Website Startup Guide above. What was your experience making your e-book cover? I’d love to hear your experience and see the cover that you had made or made yourself. Comment below.